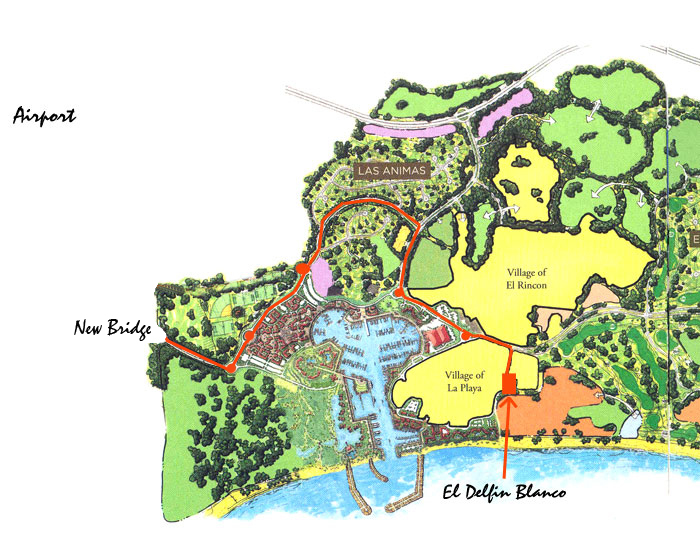 From the airport to take a shuttle bus or van directly to the center of San Jose del Cabo from where you take a city taxi to El Delfin Blanco. City taxi should be about $60 pesos, rates are regulated. The price to get back to the airport from El Delfin Blanco is about US$20.